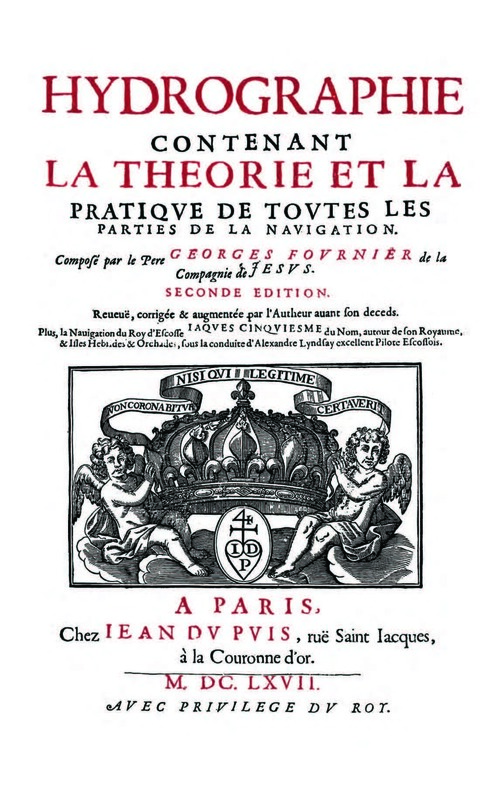 The study of Father Fournier is essential for any study of the navy of the early seventeenth century. 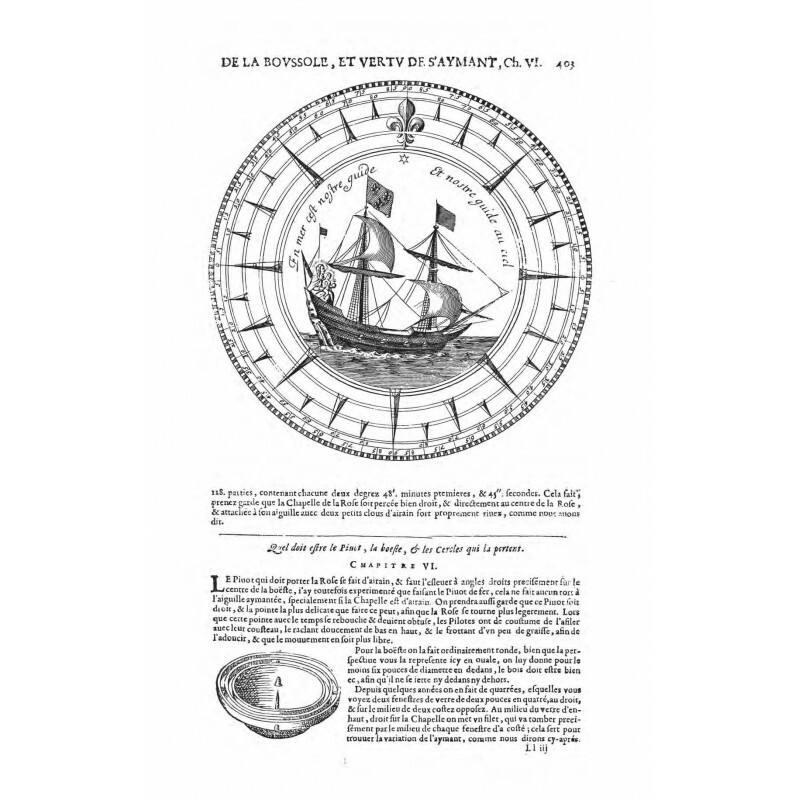 This is the first French maritime encyclopedia dedicated to Louis XIII. 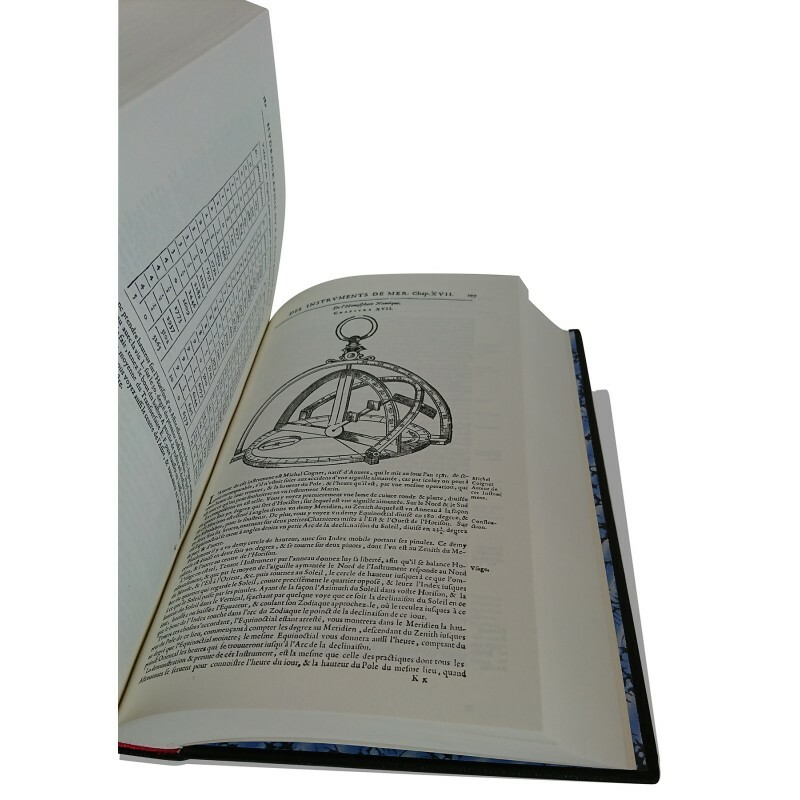 Edition of 1667, full black leather binding with nerve, 738 pages. 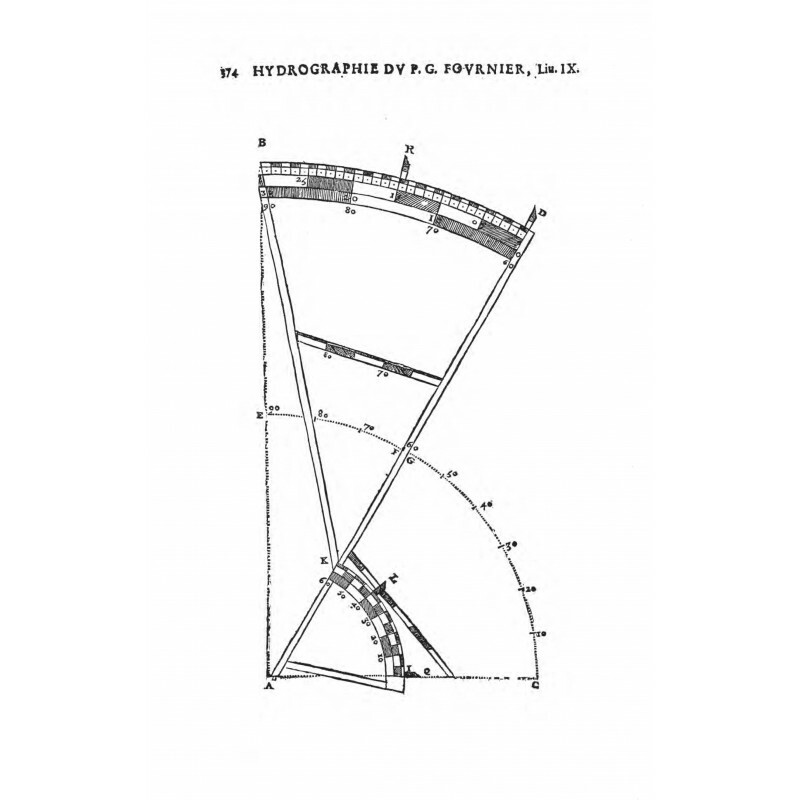 Illustrated book of diagrams, plans, maps, drawings in black. 2nd edition revised, corrected and augmented by the author. Paris, 1667. 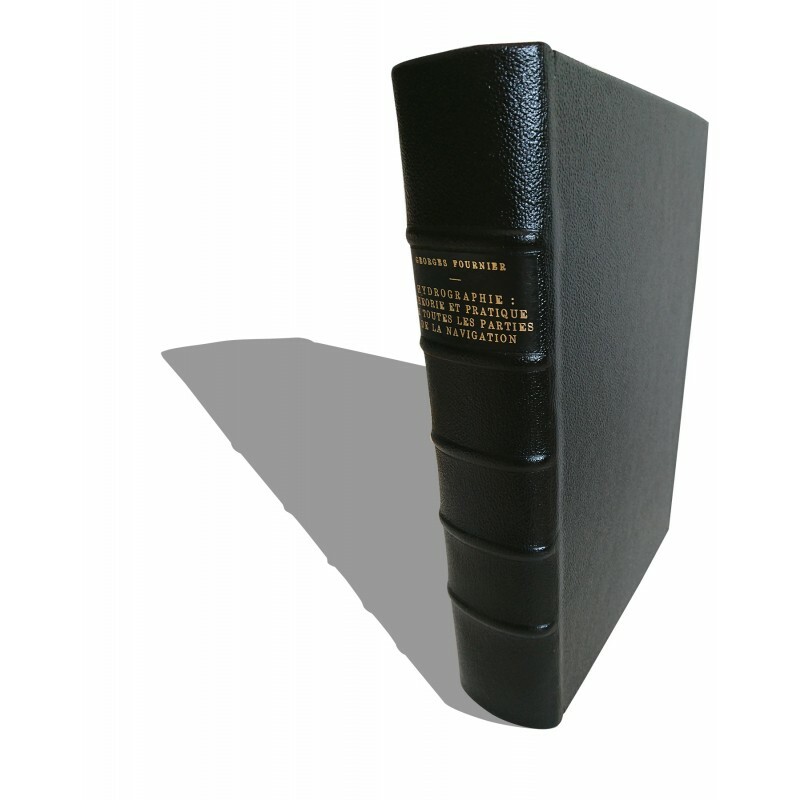 Binding full black leather with nerve, 738 pages in munken 90 grs ivory, size 20 x 31 cm. 1 board of the ship "St Louis" in format 30 x 36 in 115 grs ivory. This book must find its place in your marine library. 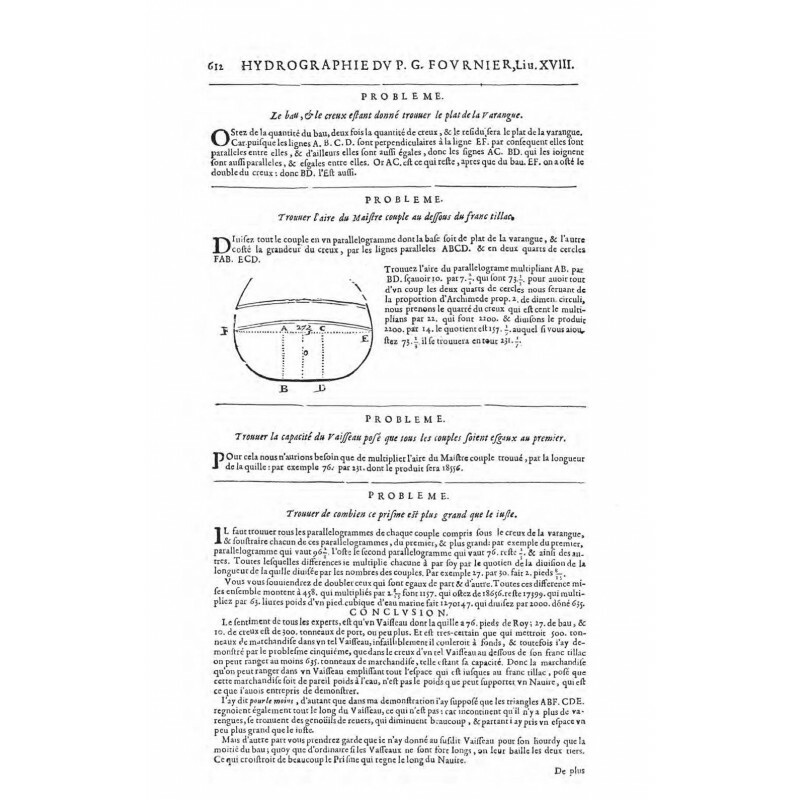 Born in Caen in 1595, Georges Fournier is the son of a law professor at the University of Caen. 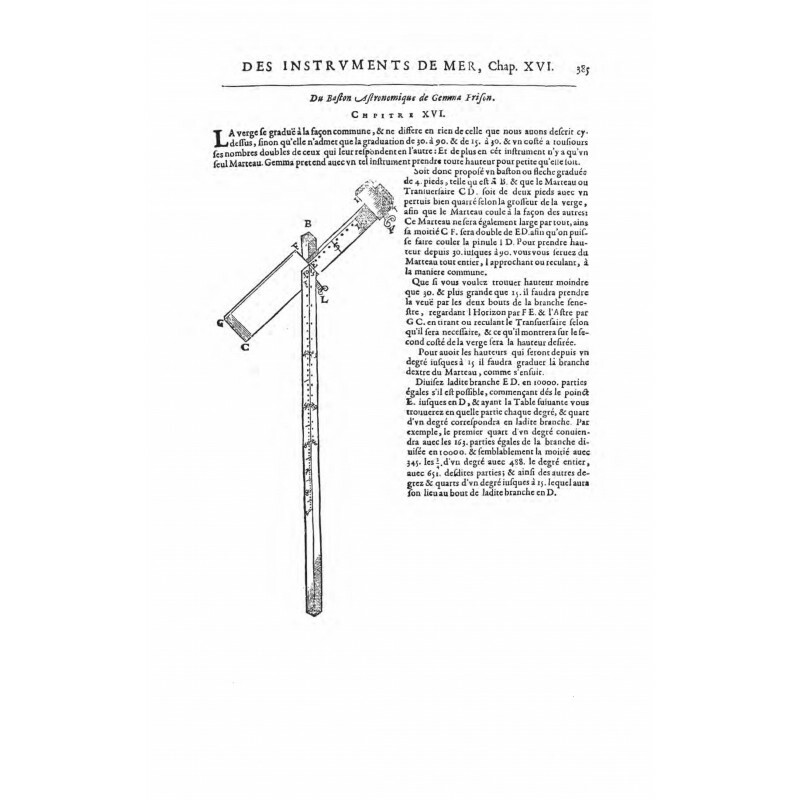 A geographer and mathematician, he entered the Novitiate of the Jesuits of Tournai at the age of 24, where he professed for five years the belles-lettres then the mathematics. Returned to Caen, he became prefect of studies and was appointed master of mathematics at the college of La Fleche 1629 to 1633. In 1633, he moved to the service of the Archbishop of Bordeaux, Henri de Sourdis. 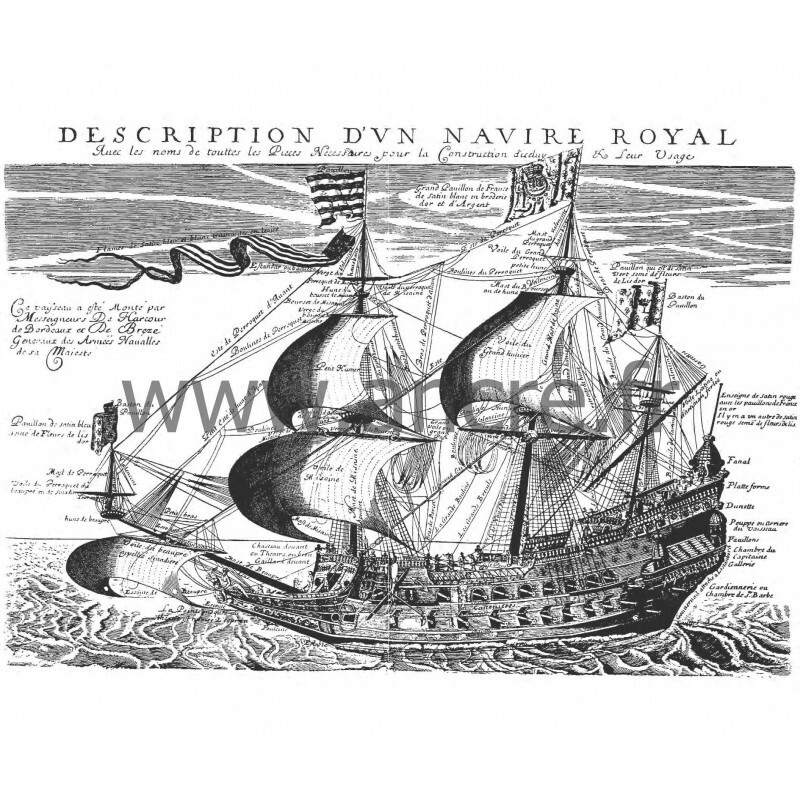 On June 20, 1636, he embarked on the Coral of the squadron of Brittany under the orders of Sourdis when this one is charged by Richelieu to lead the naval war against Spain. He participated in operations on the Atlantic coast at Fontarabie in 1638 on the St. Louis and in the Mediterranean (Rosas and Tarragona, 1640-1641). These five years of regular presence at sea allow him to acquire vast knowledge in navigation. Following the disgrace in 1641, Sourdis by Richelieu. He returned to La Flèche College where he devoted himself to his scientific work and publications. 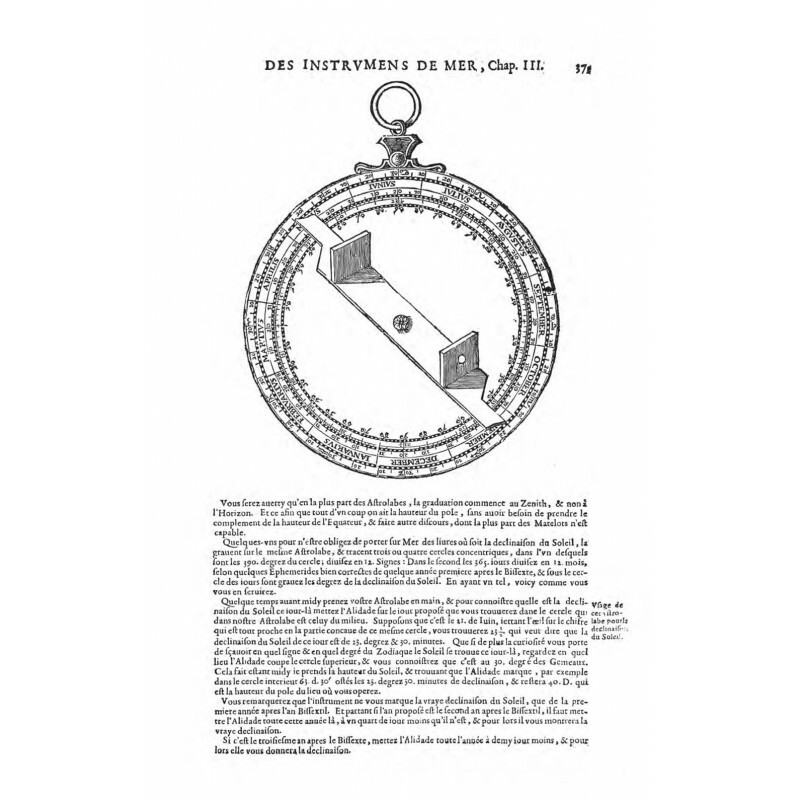 It was in this city that he died on April 13, 1652, after having been one of René Descartes' professors. 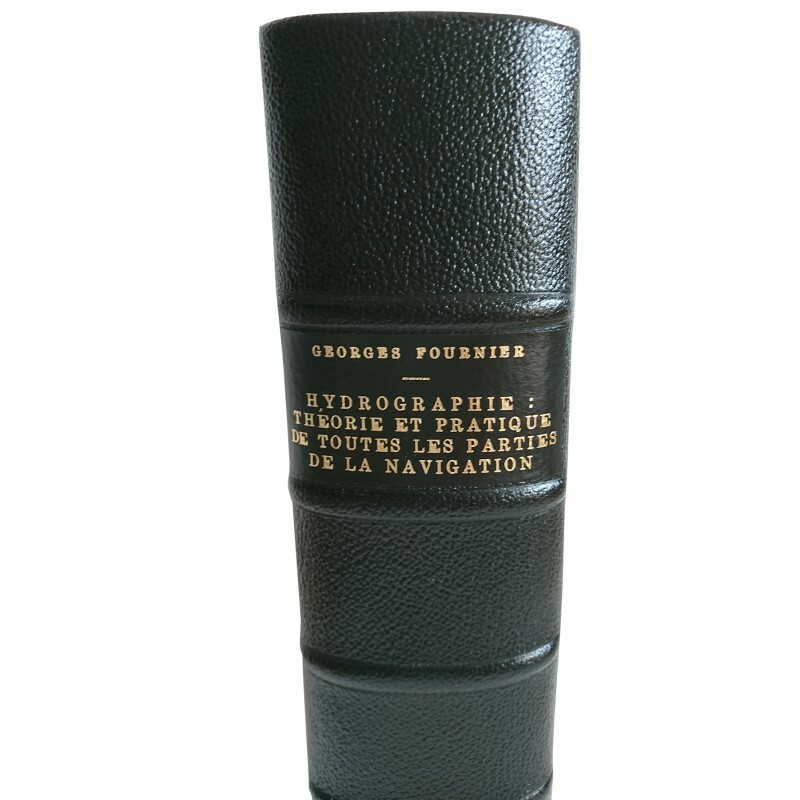 It was there that he finished writing the book that will earn him the essential of his fame: the Hydrography containing the theory and practice of all parts of navigation. 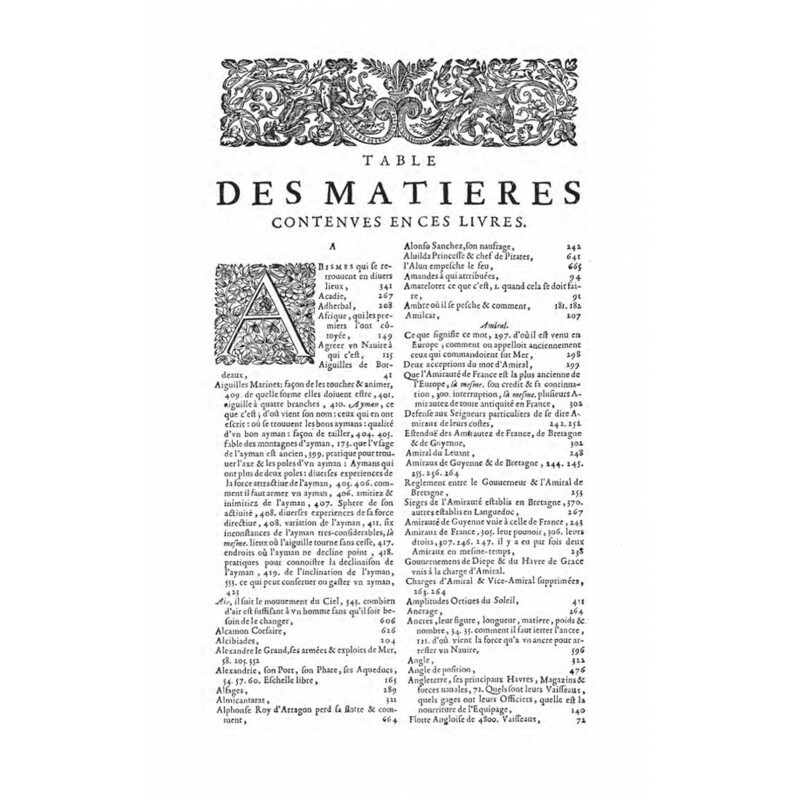 The book knows immediately a great success among connoisseurs, and Father Fournier is at the same time, geographer, astronomer, hydrographer, mathematician but also historian and even economist before the hour. Georges Fournier is interested in everything from winds and tides, ports, fishing, maritime trade, shipbuilding, officer conduct and the art of command based on a true maritime experience. 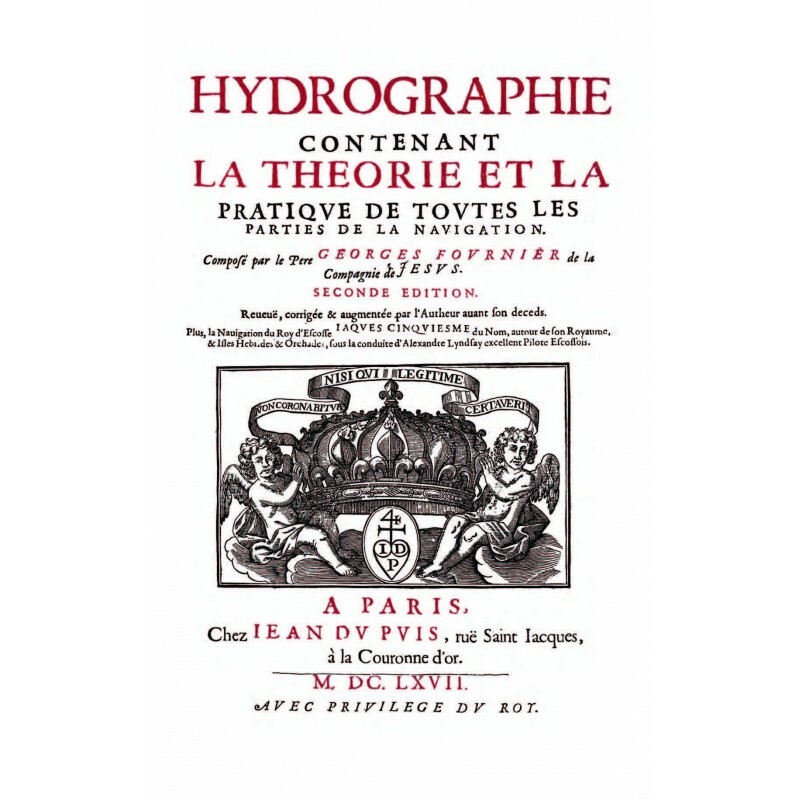 Hydrography is therefore a prime source for the history of the navy during the first half of the seventeenth century, which explains this magnificent reissue, particularly rare in marine work.